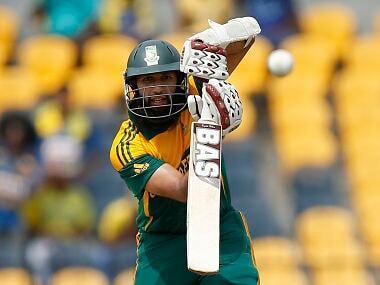 London: AB de Villiers will captain South Africa in their three-match Twenty20 series against England, team officials announced Tuesday. De Villiers takes over from Faf du Plessis, who has returned home, following South Africa's group-stage exit from the Champions Trophy, to attend the birth of his first child. 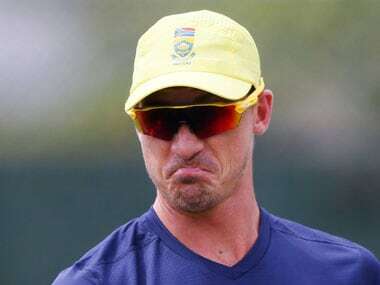 However, the senior batsman is expected back in time for the first of four Tests against England at Lord's starting on 6 July — a series de Villiers is set to miss as he takes a break from the longest international format. 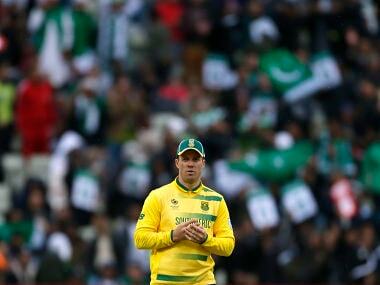 De Villiers, South Africa's one-day international captain, will skipper the Proteas in three T20s against England in Southampton, Taunton and Cardiff starting on 21 July. He will be in charge of a 14-man squad, without several Proteas regulars and one man yet to make his T20 international debut in all-rounder Dwaine Pretorius. Cricket South Africa selector Linda Zondi said: "I would like to thank Farhaan Behardien for leading the side so ably in the recent series against Sri Lanka. "We are indeed fortunate in the quality of our team leaders, and Farhaan remains very much part of this group." Test players Hashim Amla, Quinton de Kock, JP Duminy and Kagiso Rabada have all been rested for the Twenty20 series as South Africa try to make sure their key players remain fresh on a lengthy three-month tour of England. "We have also been impressed as a panel by the quality of players coming through our franchise and South Africa A system and we are ready to give further opportunities to Andile Phehlukwayo, Mangaliso Mosehle, Jon-Jon Smuts and Dane Paterson — who all made their debuts in the recent series against Sri Lanka," Zondi added.